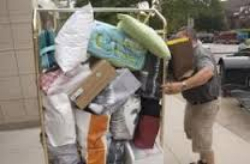 One monumental life event that calls for an inventory of your belongings is when your son or daughter heads off to college. Millions of young adults will be making the move this year, if they haven’t already departed. In addition to their clothes, they will most likely be packing a laptop, printer, cell phone, sports equipment, television, ipad, ipod, and possibly a musical instrument or a bicycle. And don’t forget the luggage they packed most of their items in! Consider what it would cost to replace all of these items if they experience a fire, theft, or event that results in a loss. If you can’t remember, you can’t recover! They will remember that they had a computer, but will they have the model and serial number to prove it was theirs if it’s stolen and recovered? If it’s not recovered, or destroyed in a fire, the model number will help prove the value (hundreds of dollars separate a low-cost netbook from a top-of-the-line laptop). The “lesser” items are often forgotten or under-estimated. How many items of clothing do they have? Could they accurately list the number of pairs of shoes? Would they be able to itemize the many pieces of jewelry? These items, maybe less than $100 each, or even $50 each, will very quickly add up to thousands of dollars. That’s why we have chosen If you can’t remember, you can’t recover! as our tagline. It is imperative that you have the correct amount of insurance – and the right type of insurance – so you can recover from the loss. According to Cincinnati Insurance, “While most college students living in a dorm or other college housing have some coverage under their parents’ homeowners policy, that coverage may be limited to only 10 percent of the coverage for contents (for example, $10,000 on a $100,000 policy).” They suggest adding a Student Personal Effects endorsement to your homeowners policy. If your college student is renting an off-campus house or apartment, they will most likely need to have renter’s insurance. Discuss this with your insurance agent to ensure you have the proper policy or policies you need for a full financial recovery. So, how do you know if you have enough insurance to cover all of your home contents (and the items now at college)? A thorough home inventory will create a detailed written document and supporting photographs. Taking this precaution will help ensure happy college memories for all because if you or they need to file a claim, the information from a detailed inventory will help speed up the claims process and get them (and you) back to where you were before the loss.